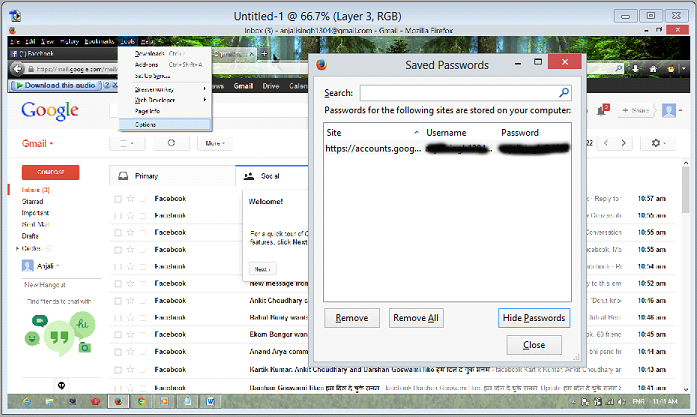 Hii.. guys today I am going to share a tutorial how to see your save password in Morzilla Firefox browser. It is important to know because many of you or your friends save their password in their browsers. If you know about this trick then you can easily get their save password . Now just follow some steps I will show you how you can do. Step 1 :- open your Firefox browser and then go to tools then choose “options” . 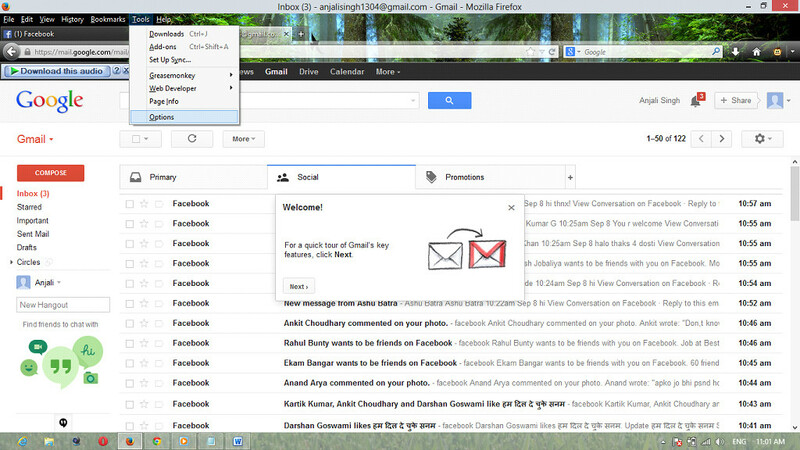 Step 2 :- After that you choose a Security options from the menu. Then click on the “save password” option then click on “show password”.